Here is a link to a more serious comment on the study at Forbes. To be completely clear, a HEALTHY DIET has certainly positive effects on ANYBODY and broccoli is definitively is part of that. So eat your veggies! And for full disclosure, thankfully, Nemo is not on the extreme end of the spectrum when it comes to restrictive eating, just VERY picky, so we are doing ok. He will eat the occasional ‘little tree’ (that’s what we called broccoli when he was younger). 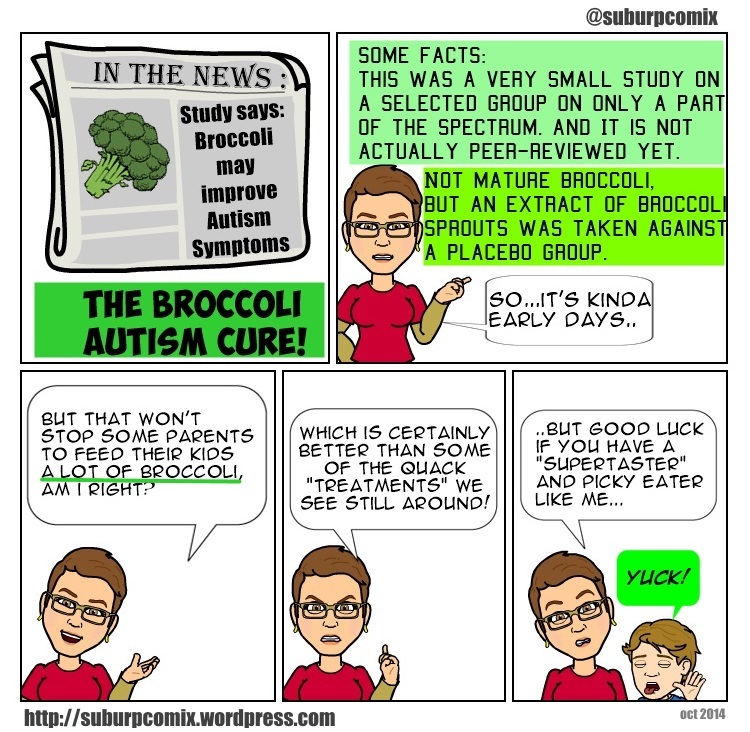 This entry was posted in general and tagged ASD, autism, broccoli, news, the cure, treatments on October 23, 2014 by starfish.